Our reusable surface protection products offer an economical, eco-friendly way to protect any surface at any stage of a project. Browse our three product lines to learn more about the benefits of each. Protect everything from anything with Clean&Safe®. Clean&Safe® all-purpose drop cloths are safe to use on any surface including hardwood, tile, carpet, natural stone, vinyl or laminate floors. 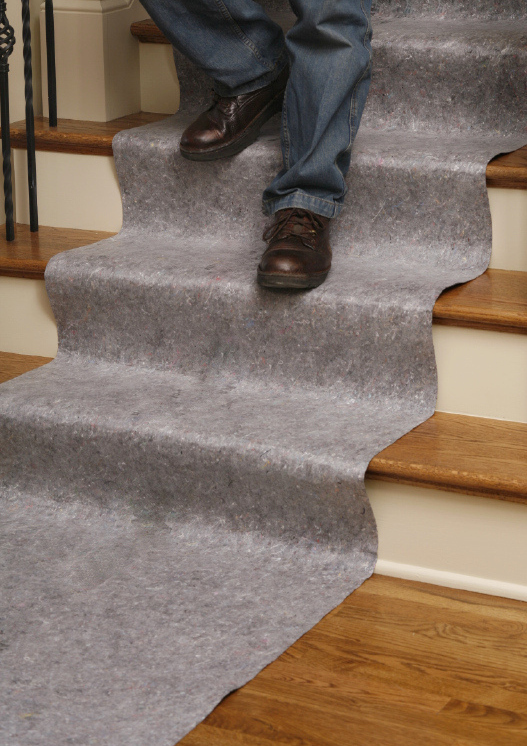 It’s ideal for any commercial or residential project and can even be used on stairs. Clean&Safe®Pro - Protection with a professional appearance. Clean&Safe®Pro offers exceptional surface protection for professional contractors. It has all the benefits of our original Clean&Safe® plus an additional layer of fabric on top for added durability and protection. 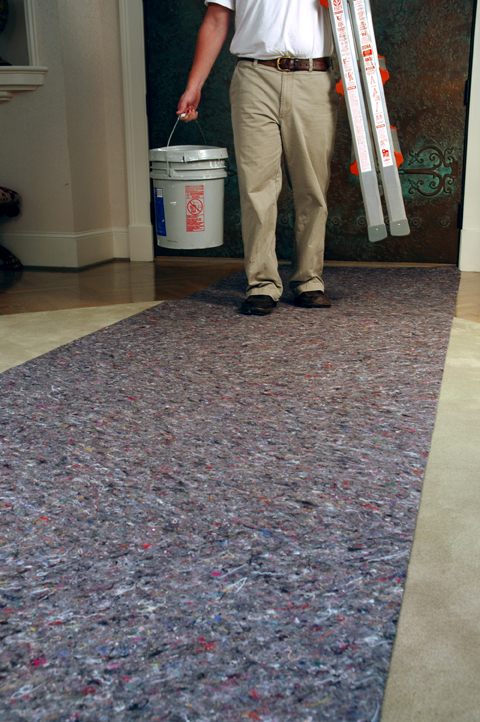 This also allows Clean&Safe®Pro to be broom cleaned or vacuumed easily. We’ve got you covered with SurfacePro®. SurfacePro® breathable floor protection is designed specifically for site-finished hardwood or newly installed tile, stone, marble or concrete. 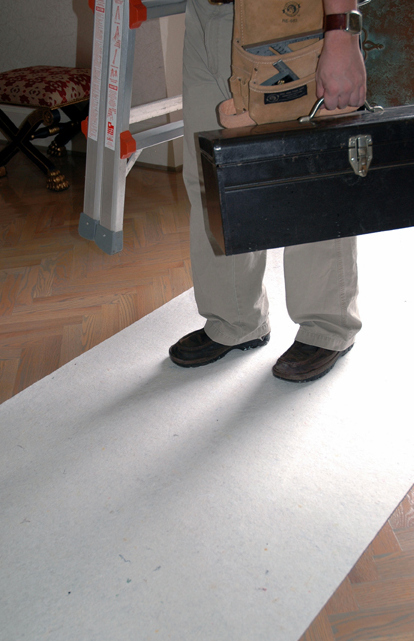 SurfacePro® can be rolled out as soon as the floor is dry enough to walk on in sock feet so work can resume on the project while the floor continues to cure. Mobile phone users, please turn your phone sideways for best viewing. Clean&Safe®Pro – Protection with a professional appearance.